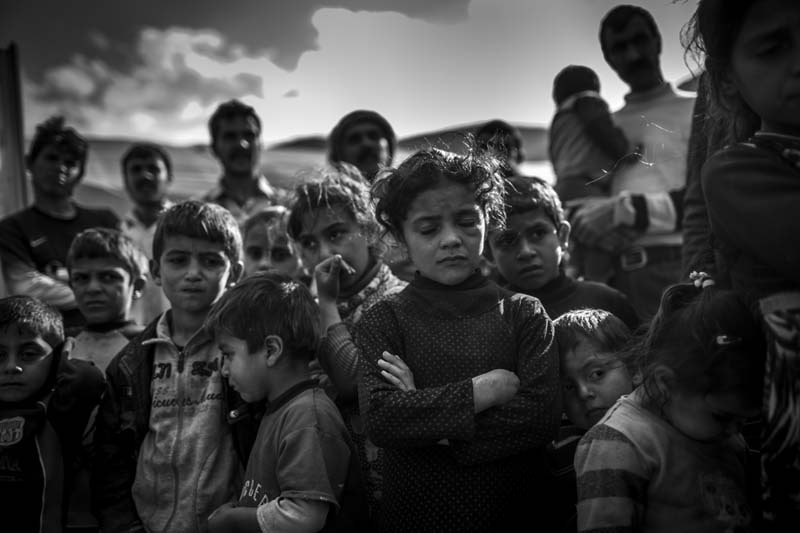 Iraq, Sherfedin - Yezidi refugees who have fled into the Sinjar Mountains, at the Syrian-Iraqi border, prior to the IS terrorist militia. The mountain was surrounded four months by the IS, without land access. The children suffer from malnutrition, diseases and they have worms. They live in tents built from stones and covers. None of the children laughed, they had no more energy. Too much suffering they have experienced in recent months.